They thought the secret of Warwick Manor had been solved and the spirit had found peace. But now new signs have emerged that were previously hidden. New suspects, places, and objects that do not fit into the picture - and the presence of the ghost is strong once again. 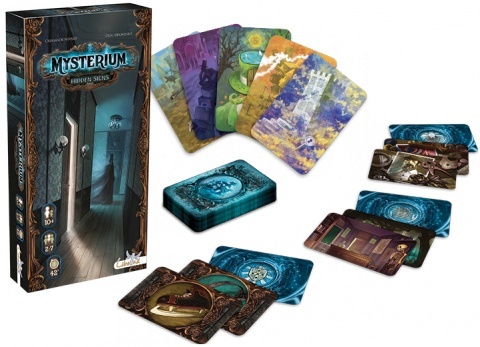 In Mysterium: Hidden Signs, the spiritualists must return to the old mansion and investigate these disturbing visions. Will they understand all the instructions this time and give the ghost its final rest? 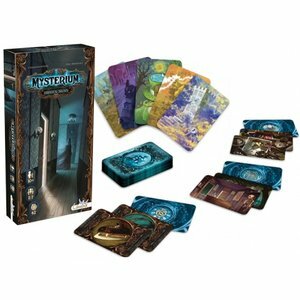 An expansion to Mysterium, Hidden Signs includes seven new characters, seven locations, seven objects, and 42 vision cards.